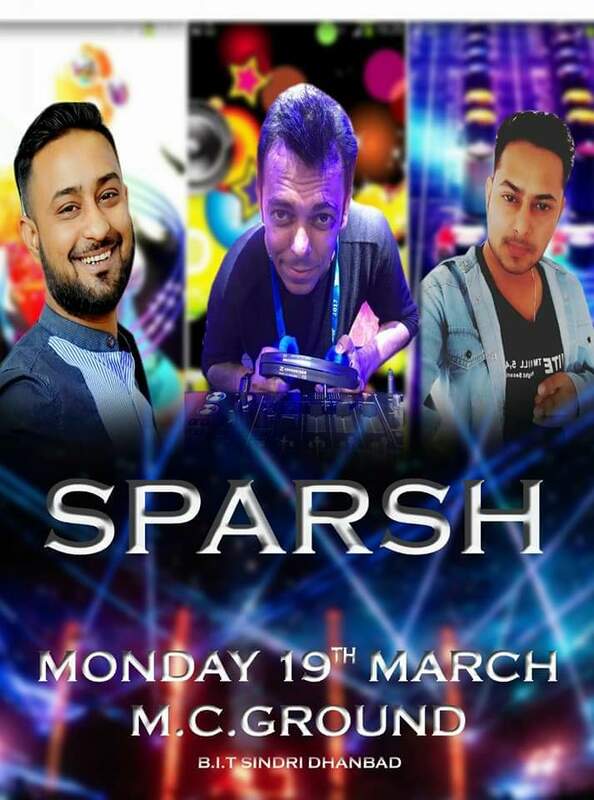 After the miraculous and remarkable contest of FOYC 2017 , a series of enthusiastic event was put up by the photography club named as SPARSH-18 , on 19th March of 2018 which infused everyone with a sense of exhilaration . It all started with ‘DRISHTI’ , an annual photography exhibition in which photographs based on various themes were arranged and put together in a decorous manner . It was put up in the lecture hall complex for two days wherein people from BIT Sindri as well as from outside arrived to gaze at the alluring and beautiful photographs . On 19th March , 2018, DFOY -(Dhanbad face of the year) was conducted in the MC -ground in the evening which added to the shimmer and glitter of the event’s night . A ramp walk was held in which students from BIT Sindri as well as from other college namely Sindri college, RSP college, Jharia participated actively in it. They were judged on the basis of their way of representation and manifestation of their personality in front of the audience . Khushboo Shaw from RSP College, Jharia bagged the title of Dhanbad face of the year , whereas Pallavi Jha and Akanksha Verma from BIT Sindri were the 1st & 2nd runner up respectively. 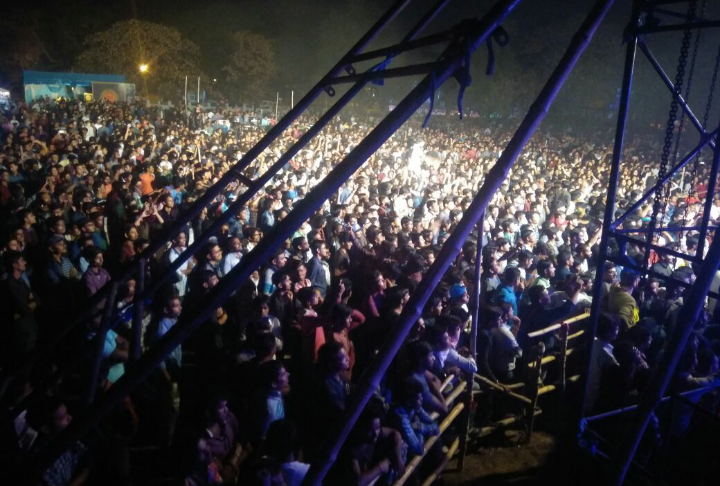 After the battle of splendorous divas to achieve the onerous moniker of -‘Dhanbad face of the year ‘, DJ night was arranged in order to sum up the enthusiasm of the college folks , where eminent DJs – Kunal Bose, Arif Khan and Amir Khan captivated everyone’s attention by their performance adding to the zeal and enthusiasm of the entire crowd. 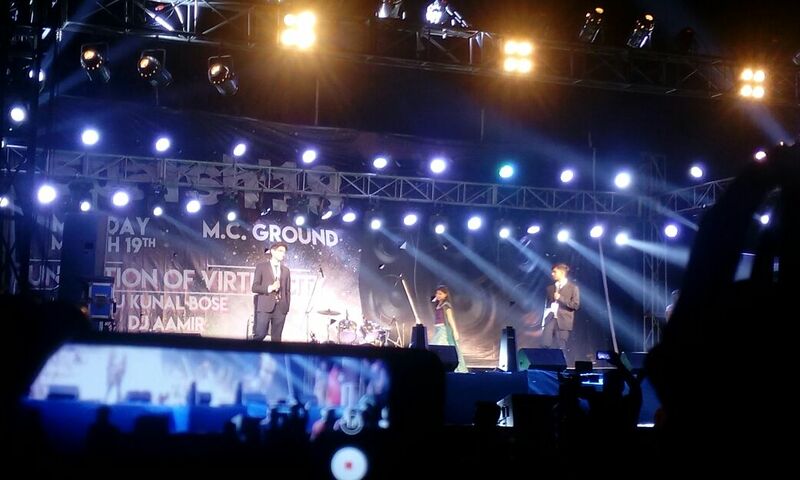 The entire event pervaded the whole college with a new zest and vigour. Under the light of above fact , Spandan , a two day mesmerizing event was organized by the Literary Society of BIT Sindri on 19th and 20th of March 2018 . It encapsulated the various segments which were named as art and craft , paintings , sketches, sher-o-shyaries , poetry , fictions , stories , cartoon making and various articles of art and craft . It commenced with the lamp lightning by the honourable director of the institute , Dr. D K Singh along with the professor incharge , prof Kunal and prof R K Nayak . It was a phenomenal and astounding event which was worth capturing the attention of everyone who came for its visit , whether from BIT Sindri or from outside the college . It served as a great platform for every student in order to showcase their talents in various artistic and literary fields . It ended up triggering the release of new vibrations of enthusiasm down the veins as visuals have a profound effect on our minds .